When a Tripawds member makes the news, we like to celebrate around here! Download this article from the August/September issue of Animal Wellness Magazine and read about Tripawds’ very own Maggie the Agile Cow Dog. Maggie was covered in this Case Study because she is one of the brightest examples of what’s possible after a soft tissue cancer diagnosis and rear leg amputation. Should you ever hear from a vet that a dog is “too old” to thrive on three legs, Maggie proves otherwise. As a senior dog with an award-winning agility career before she lost her leg, Maggie and her mom Tracy didn’t let the loss of a limb keep them from enjoying their favorite activities together. 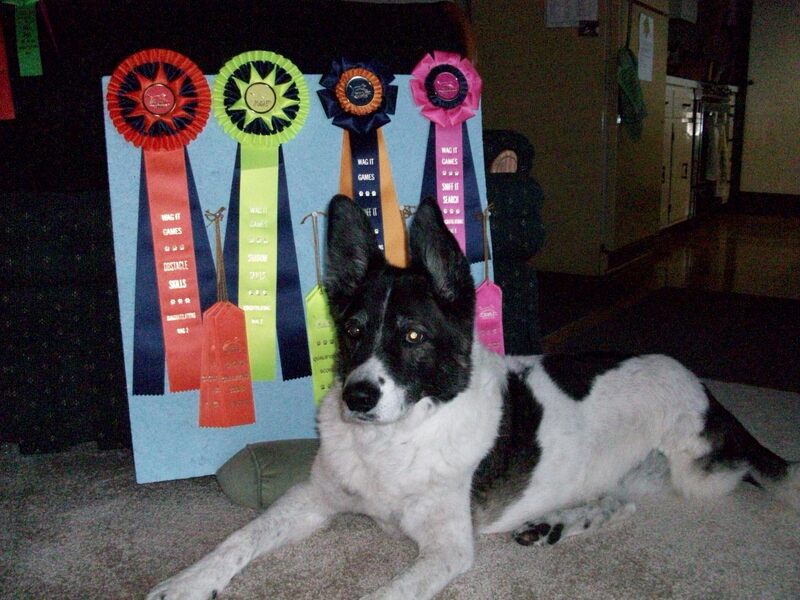 Instead of dwelling on the agility career that Maggie retired from after becoming a Tripawd, the dynamic duo forged ahead to compete and win titles in less physically intense (but equally as technical) competitions such as Rally-O trials held by the Association of Pet Dog Trainers (APDT). The team enjoys sharing what they’ve learned about life on three legs in Maggie’s blog, along with many feature articles in our Tripawds Gear Blog. As a holistic-oriented publication, Animal Wellness Magazine also featured Maggie’s story because of the cancer treatments Tracy pursued in conjunction with world-renowned holistic veterinarian Dr. Charles Loops. 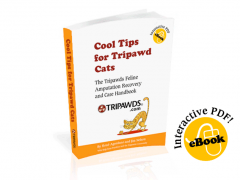 Download the Tripawd Triumph Case Study magazine article here. 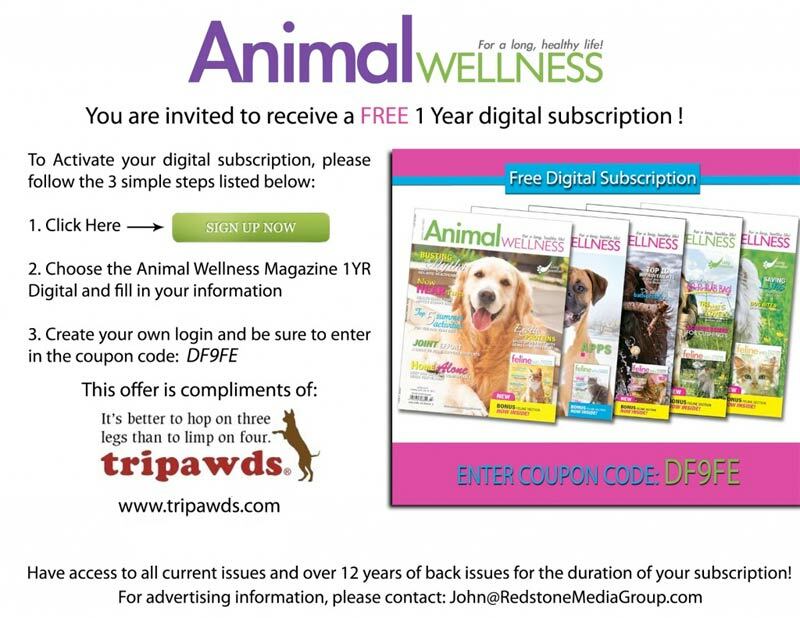 In conjunction with Redstone Media Group, publishers of Animal Wellness Magazine, all Tripawds fans are welcome to enjoy a free one year subscription to the digital edition of Animal Wellness Magazine. 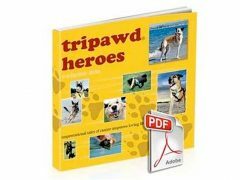 Just follow the instructions below, and then enjoy reading and learning about holistic-minded ways in which you and your Tripawd hero can have a long, hoppy life together.